Another precious little boy has entered the world. 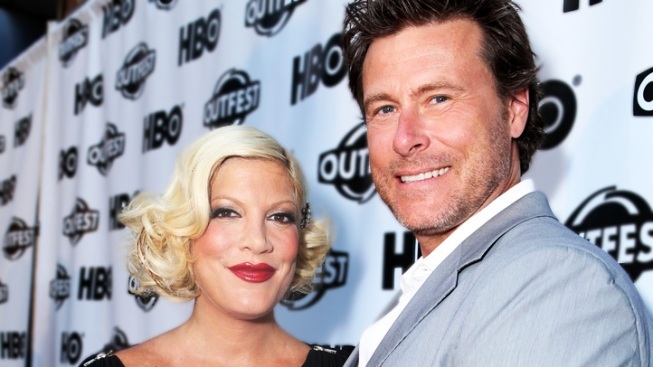 Tori Spelling and husband Dean McDermott welcomed a son, the couple's fourth child together. According to her personal website, Tori Spelling and husband Dean McDermott welcomed a son, the couple's fourth child together, tonight, and first shared the news on Twitter when she posted, "It's a boy!!!!" "We are so excited to announce the birth of the newest member of the McDermott family," she wrote. "Please join us in welcoming Finn Davey McDermott." Giuliana and Bill welcomed a son, too! Finn arrived at 5:39 p.m., weighing 6 pounds, 6 ounces and measuring 20 inches long. Spelling and McDermott announced the pregnancy back in March. "DeanLiam,Stella Hattieand I are beyond thrilled to announce that another little McDermott is on the way!" Tori posted on her website. "We feel truly blessed that another angel has found us." The couple are already parents to Liam, 5, Stella, 4, and Hattie, 10 months. Look at all these famous families!